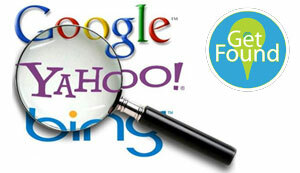 Why choose in graphic design for my SEO services? The major search engines out there like google (the most used) have a secret algorithm to scan through a site and determine whether or not it’s worthy to move up the search rankings. Everybody wants to be at the top of google. And face it… if you’re not, you’re probably not getting many clicks. Getting found at the top when someone is searching for you is great and also expected, but getting to the 1st page when they are searching for the products and/or services you provide is a much more difficult task. It takes time and it takes a true understanding of what makes a site more attractive to the search engines. We have spent years studying the top SEO techniques from hundreds of sites that are performing very well and incorporate the same tactics that have become successful into websites that we build. Already have a website? That’s okay, we can still help you. We know there are plenty of SEO sales people out there calling you on a regular basis, but they want to buy google ads for you, and we want to make it where your business rises up the rankings ORGANICALLY! That’s the most bang for your buck in the long run. Wanna give it a try on your own?